This month, the London Latin Jazz Fest returns to Pizza Express Jazz Club in Dean Street for its sixth year. The festival celebrates music rooted in Latin and jazz influences. Seven concerts will present an array of internationally acclaimed musicians in this intimate, world-class venue in the heart of Soho. Cuban-Argentinian pianist and composer ELIANE CORREA, who is curating the festival for a second year, spoke to Emily Palmer. So, what can audiences expect from this year’s festival? On Tuesday 16, Eliane Correa herself opens up the festival with a set exploring Afro-Cuban folklore. Continuing her tradition of bringing a new line-up and a different sound every time she plays at the festival, she is joined by an array of special guests who are currently at the forefront of the London Latin jazz scene. The following evening Ernesto Marichales leads a group of musicians collaborating exclusively for the festival. The unique performance showcases an all-star line-up of the UK’s most renowned Venezuelan musicians who have created a set combining jazz with Afro-Venezuelan drumming and percussion. For Eliane, this concert is a way to give this music the exposure it deserves. On Thursday 18, the festival welcomes multi-award-winning Cuban trumpet player Yelfris Valdés for a performance of his critically acclaimed new album The World of Eshú Diná. Creating soundscapes with his trumpet and employing the use of electronics and improvisation, Yelfris transports ancient Afro-Cuban identities and folklore into new music worlds. The ground-breaking artistry of Yelfris is sure to set the stage alight. Known as "the Godfather of Latin music in the UK", Roberto Pla fills the stage with his 13-piece salsa orchestra on Friday 19 for two performances. The programme pays homage to the Fania era with a selection of originals and classics. This concert promises to have the audience up on their feet dancing to the sophisticated sounds of old-school American salsa horn arrangements. The festival concludes on Saturday 20 with an exclusive performance from Elida Almeida, a Cape Verdean morna-coladeira singer, making her UK debut. Following in the footsteps of 20th century songstress Cesária Évora, known as the Queen of Morna, Elida’s music transports audiences to warmer climates with its sunny melodies and African rhythms. 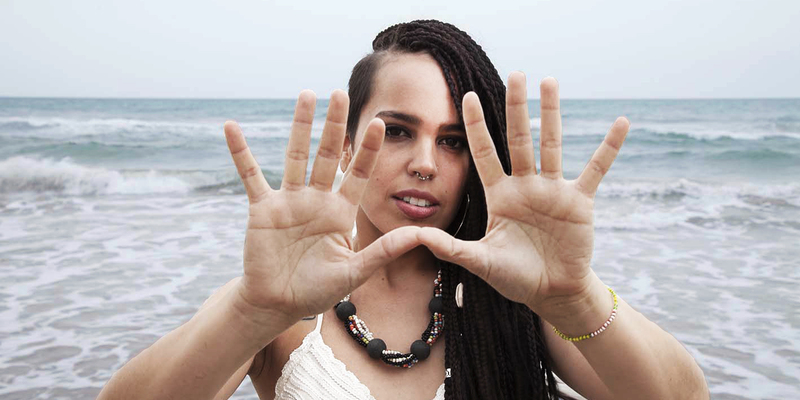 Whilst Elida’s music has a strong Latin-infused element, the programme departs slightly from Latin jazz, demonstrating Eliane’s commitment to curating a festival that embraces a diversity of artists and programmes.